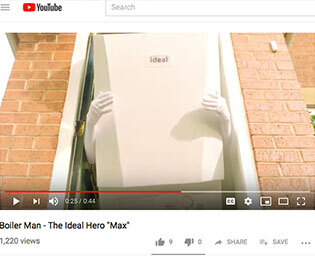 Ideal Boilers, the company behind Boiler Man, has tasked Democracy PR to ramp up the marketing to promote this far and wide to media, installers and merchants with the aim of getting as many shares, likes and new followers as possible on its digital channels. There’s a focused social media plan in place and PR activity going on in the background to drive the opportunity and grow Ideal Boilers' online community. This latest instalment from Boiler Man was launched mid-morning on Monday 3rd December. Click here to watch the Boiler Man video.